Calligraphy is an ancient art that’s popularity still exists today. Centered around letter forms and symbols, calligraphy celebrates the written word in many different ways, from how the individual letters are arranged to the rhythm and flow between them. 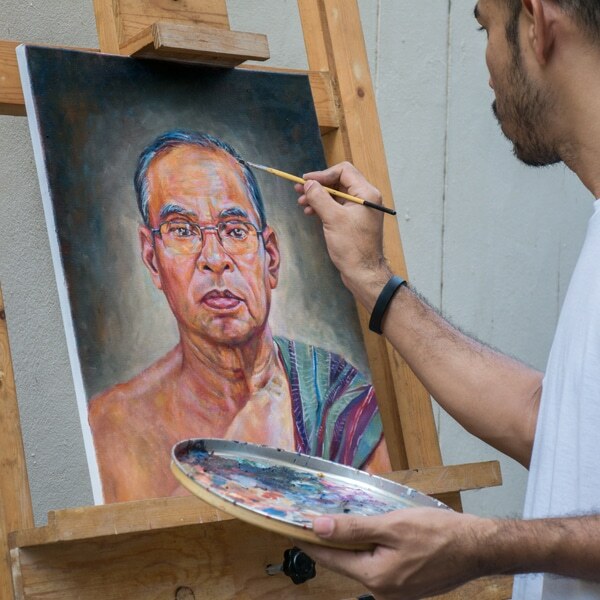 The European iteration of the art first appeared in Latin script around 600 B.C.E. in Rome. There, it was painted on walls and eventually used to copy the Bible and other religious texts. Its influence survived the fall of the Roman Empire and continued to evolve until around the 15th century. After this point, calligraphy became less utilized thanks to the advent of the printing press; illuminated manuscripts began to decline as a result—they just weren’t as practical as automation. At the end of the 19th century, there was a “modern revival” of calligraphy. 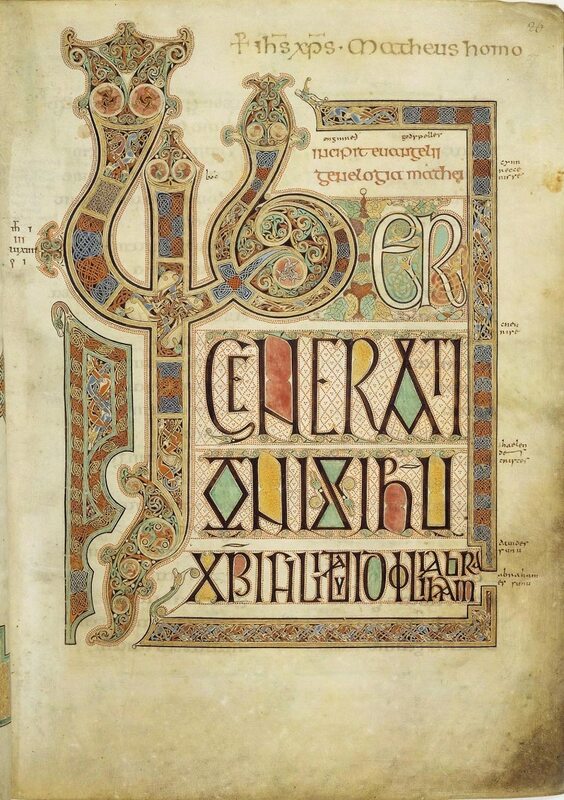 Letterer Edward Johnston began studying manuscripts of calligraphy, and coupled with the concurrent Arts and Crafts movement, there was a renewed interest in penmanship. Johnston produced a number of publications on the subject, and he taught others calligraphy as well. During this time, he also developed his own calligraphic style that’s written with a broad pen. Called the Foundational Hand, it uses a slanted pen angle to achieve rounded forms. With the advent of modern technology, it seems that calligraphy has found a special place in the heart of makers. 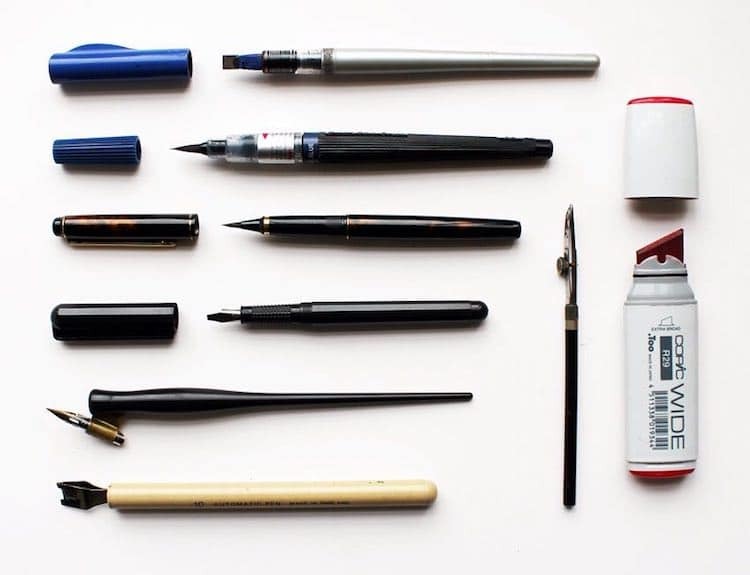 Although it’s often imitated through digital fonts, those who enjoy writing things by hand know how special and personal the practice is—and it’s something that anyone can begin with just a few tools. Calligraphy appears complicated—but by learning basic techniques, you can start to create your own beautiful letters. 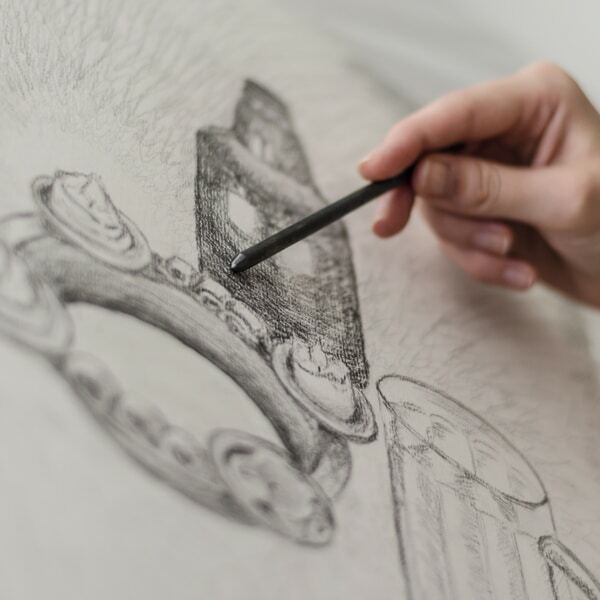 To begin, you’ll need several tools—a nib, a straight pen, ink, and paper—along with other helpful supplies. Here’s a list to get you started. Nibs: Nibs are a vital part of your calligraphy supplies. Sold individually, they make it possible to create the wide lines and fancy flourishes for which calligraphy is known. Nikko G nibs come recommended for beginners, as does the Brause brand—specifically the EF66, Rose, and Cito fein. 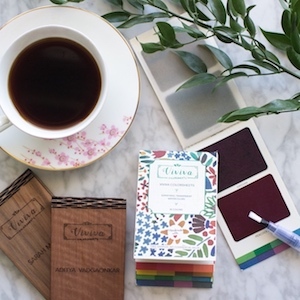 Of course, finding your favorites will take some trial and error, so it’s best to test out a variety of brands and tip points before you decide what to use in your everyday calligraphy. Straight pen: Nibs are interchangeable, and they all go in one straight pen holder. This tool is less fussy than nibs, but you’ll want to find something that’s comfortable for you to old. Look for brands with a “universal insert” that will hold any type of nib. Ink: Go for a rich black ink such as Japanese sumi ink; it’s opaque with a nice fluidity that’s not too thick nor too watery. Paper: To avoid things such as bleed through or feathering, look for paper that’s ultra smooth—this will allow your pen to glide gracefully over the paper. If you’d prefer to purchase your supplies all together, the Staedtler Calligraphy Set and Sheaffer Calligraphy Maxi Kit are considered some of the best calligraphy sets for beginners. Understanding the basics and techniques of calligraphy will only help your practice, as they allow you to gain a foundation in the art. Instructions from book and online classes are a great place to start; once you complete them, you can build on your skills with plenty of practice. Mastering Copperplate Calligraphy: A Step-by-Step Manual: This book is a “practical manual” that offers step-by-step instructions of copperplate calligraphy, a style that is inspired by copper plate engravings. It goes in depth on how to form the letters, including how much pressure to apply on upstrokes and downstrokes. 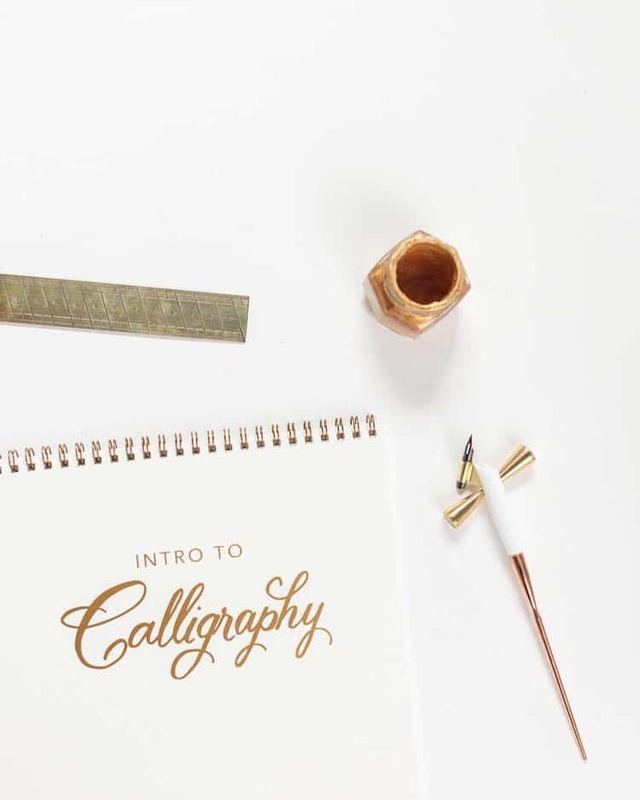 Modern Calligraphy: Everything You Need to Know to Get Started in Script Calligraphy: Author Molly Suber Thorpe offers a bevy of examples of lettering for every occasion, as well as an overview of tools and history. 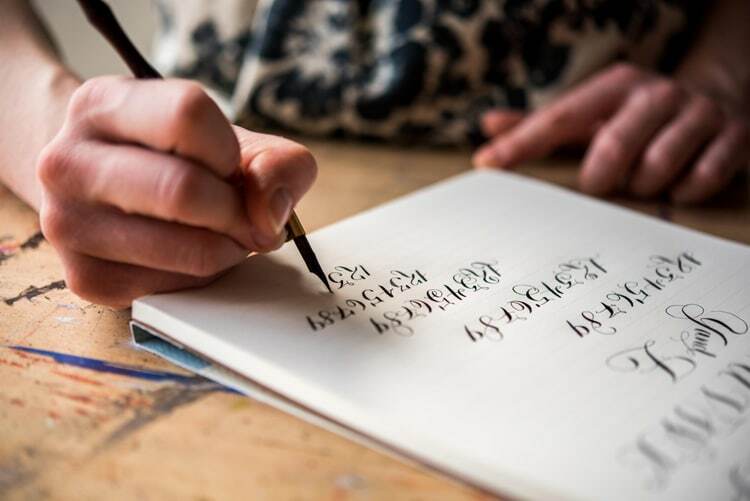 The Calligrapher’s Bible: 100 Complete Alphabets and How to Draw Them: David Harris’ book boasts 100 sections that show a complete A-toZ calligraphy alphabet. 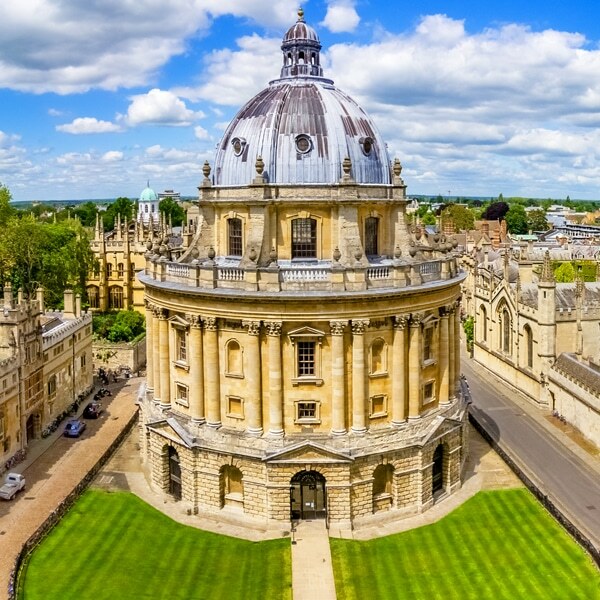 Another helpful feature: advice on avoiding errors! 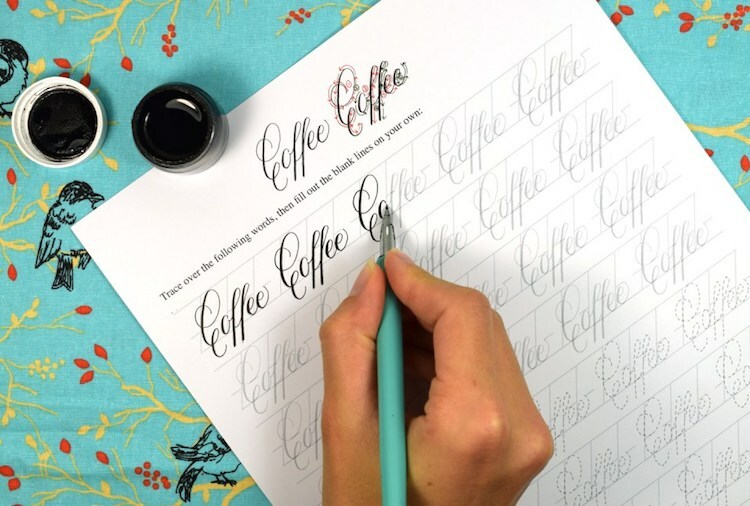 E-learning sites Craftsy and CreativeLive offer courses about calligraphy. Here are some to try now! Modern Pointed-Pen Calligraphy, Craftsy: Explore ways to build letters, words, and symbols with instructor Laura Lavender. 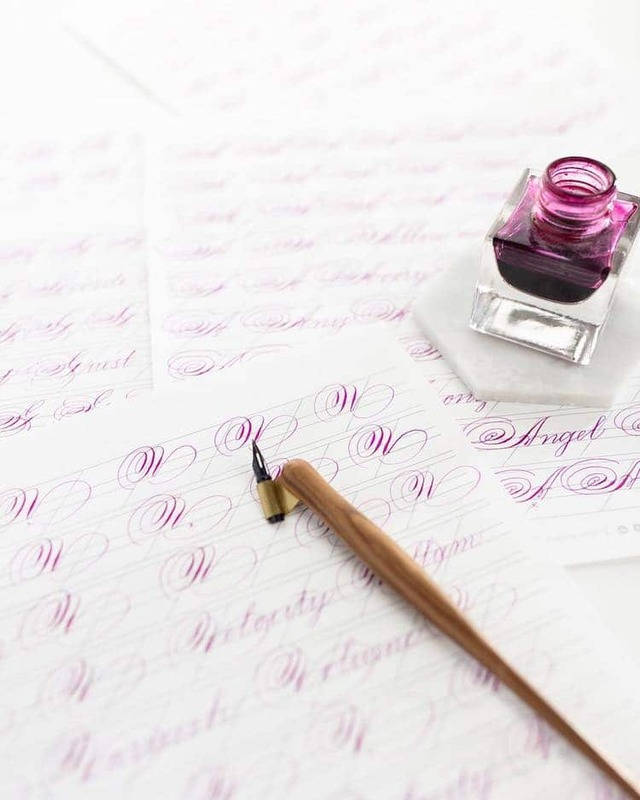 Using Calligraphy for Addressing Envelopes, CreativeLive: Learn how to put your calligraphy skills to work with this class, taught by Bianca Mascorro. She will show you how to address an envelope that’s both beautiful and will still be delivered by the post office. Additionally, Lindsey Bugbee of The Postman’s Knock has a series of great tutorials that cover everything from the basics to specialized techniques. She also sells printable practice sheets on her website.